Speedy Wunderground – A ten-point plan 1. Speedy Wunderground is a new label which begins on February 25th 2013 with the release of “I Go Out” by Steve Mason & Emiliana Torrini. 2. Speedy Wunderground is the idea of producer Dan Carey. Dan will produce all releases. All records will be recorded at Dan’s South London studio. Dan has previously produced Franz Ferdinand, Bat For Lashes, TOY, Willy Mason, Django Django, Emiliana Torrini, The Kills, Chairlift and Steve Mason. 3. Recording of all records will be done in one day and finish before midnight. The recordings will be a snapshot of the day. Mixing will be done the day following the recording, also in one day only. This will prevent over-cooking and ‘faff’. 4. There will be no lunch break during recording and mixing days. 5. Overdubs will be kept to a minimum allowing the recordings to be free of clutter. 6. The recordings will appear in limited runs of two hundred and fifty 7”s, which will be in the shops as soon as humanly possible following their completion. 7. The core of each song will be a live take recorded in the dark with smoke and lazers and somewhere on each record the Swarmatron – http://www.youtube.com/watch?v=iJyub78p924 - will make an appearance. 8. Speedy Wunderground work quickly. There will be as a little delay as possible between recording and release. 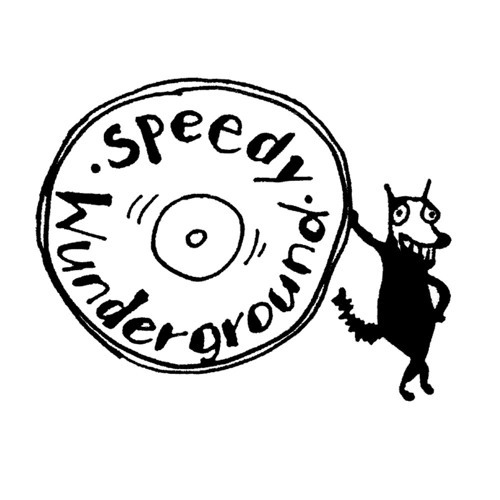 Speedy Wunderground records will not sit on the shelf gathering dust waiting to be released. 9. Speedy Wunderground will release each year’s recordings as a compilation at the end of the year. 10. Speedy Wunderground Records will not be slow.